2. Link to FDZ Vocations web site.  He was ordained priest on 16 March 1878 in the Church of the Holy Spirit. While still a deacon he met a poor blind man called Francesco Zancone. For Fr Annibale this meeting was providential. He discovered the Avignone district, the poorest in Messina, and he remained there. His charity transformed that place into a holy land and that populace into a people of God. Love for God and love for ones neighbour became the norm that ruled his Christian and priestly life to the point of heroism. He loved children and the poor but he discovered another and greater poverty as well. It was the lack of good workers. This caused him such pain that he spent his whole life countering it. pray therefore to the Lord of the harvest to send workers into his harvest. (Mt 9:37-38; Lk 10:2). From then on this confident and unceasing prayer to God the Father, the Lord of the harvest, became his obsession, and the secret of salvation for so many men and women who would come to know the joy of the Gospel. Where could he find women with a motherly instinct for abandoned children, women who would work for the Church? Where could he find women whose lives of prayer would obtain from Gods heart apostles to proclaim the Gospel? Captivated by Fr Annibales untiring service in the infamous Avignone area of Messina, a number of young women, moved by love of God, resolved to serve the downcast and to tirelessly implore God for workers for the harvest. Hence the Daughters of Divine Zeal congregation was born with Madre Maria Nazarena Majone as co-foundress. The name Daughter of Divine Zeal (FDZ) expresses the ardent love (zeal) of Christ when seeing the crowds he was filled with compassion, for they were harassed and helpless like sheep without a shepherd (Mt 9:36). 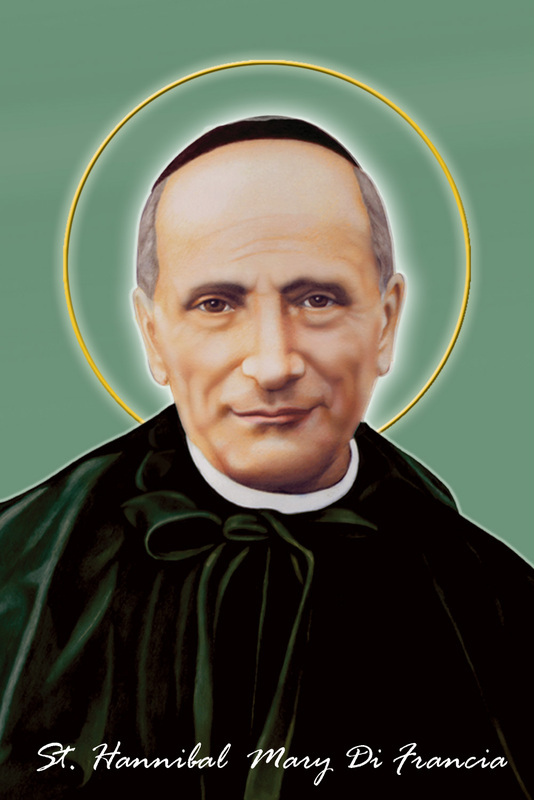 On the occasion of his beatification on 07 October 1990, Pope John Paul II described Fr Annibale as an anticipator and precursor of the modern pastoral care of vocations. He was canonised a saint in Rome, Italy on 16 May 2004. St Annibales response to the poverty of human beings was his prayer and charity. He became a symbol of Christs compassion and tenderness for all humans.